The Handsome One answers a question posed on social media, Do Raw’s dropping TV ratings matter? And in the process it kicks off a discussion that reveals Vince McMahon to not be quite as out of touch as he’s so often accused of being by today’s “smart” fans. Your IQ will DEFINITELY be raised as a result of this one! 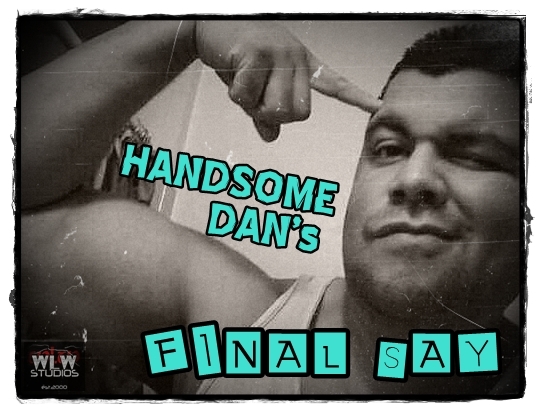 Handsome Dan gives his thoughts on Alberto Del Rio’s return to WWE and the effect it will have on Lucha Underground. Also, a move executed during the Divas’ Championship match at Hell In A Cell gets our host on a rant about the subtle art form of professional wrestling and just how badly from it the business has departed. Your IQ will DEFINITELY be raised listening to this episode!